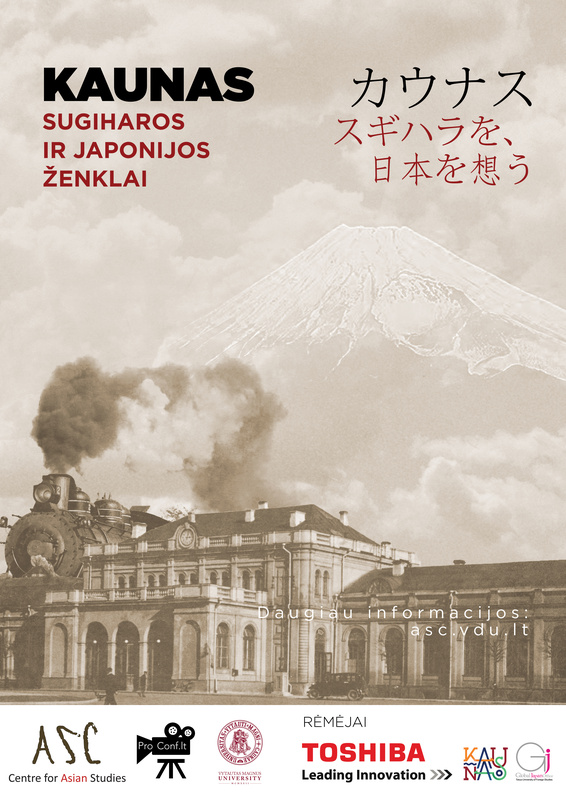 Those who have not yet been able to see the picturesque documentary about the relationship between Kaunas and Japan are welcome to the screening of the documentary “Kaunas, the City of Sugihara and Japan”. The event will be taking place on February 7th, 5:30 PM at Vytautas Magnus University, room 103, V. Putvinskio st. 23, Kaunas. After the screening together with the Deputy Kaunas City Mayor Mr. Simonas Kairys we will remember Kaunas work with Japan during the years. Since 2006 Mr. S. Kairys is the Head of Sugihara Group for Kaunas-Japan Relations Development. Due to this group creative projects have been initiated in Kaunas. One of them is Sugihara Week, more active cooperation with Gifu Municipality, etc. In April 2018 this documentary was presented to the Lithuanian public for the first time. Screenings of it has been organized in Lithuania and Japan and they received positive evaluation. Creator’s team consists of Dr. Aurelijus Zykas, Dr. Linas Didvalis and Mr. Kristijonas Jakubsonas. Documentary features 20 Japanese and Lithuanian public figures presenting story from the different perspectives. Due to the fact that Lithuanian and Japanese language are featured in the movie, the documentary has subtitles making it bilingual.